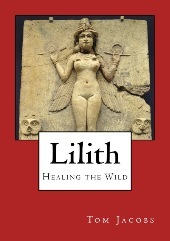 Based on my popular book Lilith: Healing the Wild, the True Black Moon Lilith Natal Report is now available to order once again. It presents a positive approach to this archetype representing the natural, wild feminine that is just as important a part of each human as is the linear, logical mind we’ve been trained to trust above all else. Instinct is a major Lilith key word, and when we’re in touch with it we trust our bodies. Due to the effects of patriarchal conditioning, most astrologers tend to read the Lilith myth as we’ve received it as meaning that Lilith is a demonic energy and that she represents a darkness. It makes for piquing marketing copy, but doesn’t get to the truth of who we are as Lilith. There’s nothing so dark within us that we should fear, shame, avoid, and punish it! That’s how shadows get created, and we are very clearly evolving beyond the need to create, maintain, and fear shadows within. Astrologers can differ on what they believe that inner darkness is about and means, but I’m told by readers that my approach in the book and report is the only positive, life-affirming take on Lilith out there. What I do is decouple the myth (which is always social instruction to tell you how to behave and not to behave – so the group can feel safe and secure) from the archetype (how we actually live the energy and experience growth of this part of the self – all about personal and spiritual individuation). The result touches people all over the world deeply and provides a meaningful interpretation of Lilith that gives people room to grow as the beings that they are, not making damaging assumptions that further the shadow creation we’re so hurting from now. There’s no longer any need to fear what’s feminine within and around us. As souls living human lives, we’re growing beyond the limitations to self-development imposed by controlling, fear-based culture. The report covers the natal house and sign of your true BML, aspects to planets and points in your chart, and important transits and progressions happening now and over the next year. Read more – my clients and customers have also sent feedback on the report – and order yours here. Allow up to 10 days for delivery (these reports are still put together by hand). Holiday/special-time-of-year note: Since people love giving these reports as gifts to friends and family after they’ve read their own, all orders received by the end of 22Dec will be delivered by/on 24Dec.